If you missed our meeting we discussed the features of the macOS Sierra. Some cool new improvements to the previous OS. In our November meeting we will do a hands on, in hand review of the new iPhone 7 and the new Apple Watch 2. If you missed our meeting we discussed the features of the new iPhone 7. We also did an in- depth review and demonstration of iOS 10 Check it out! If you missed our August meeting, we learned all about virtual reality and got to play with Google Cardboard. A few luck pro members got to take home some cardboard to review. They will report back next meeting. Rick Lantz’s Siri Chronicles were fun and enlightening. Click here for some things to try yourself. 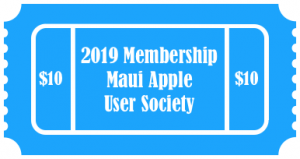 If you missed our July meeting, we talked about Apple’s upcoming macOS Sierra and the wonders of iOS 10 – it looks amazing and you can be part of it, before the general release. We also saw Apple’s new Swift Playground, an app that teaches children, and adults to code. It’s easy and fun. Check the links below for more info. We also introduced a new, fun segment to our monthly program called “How did you do that?” presented by Rick Lantz. Here is a list of the “How to’s“ he showed us. If you missed our June meeting, we talked about Travel Tips for the Apple User and ways to stay safe. Click here for the presentation. It was a small crowd this month so we are thinking about moving a similar presentation to April or May next year so more people can take advantage of all the great information. If you missed our May meeting, we explored Photos with Break Out Groups. Click on the link to see the Keynote. Thanks to Rick O., Rick L., and Tracey for taking the lead on the different sections. Review of Fantastical 2 by group member Ric B. If you missed our March meeting, you can view the presentation here. The links below will give you more information on the apps we discussed. If you missed our February meeting, we took on the theme of Valentine’s Day and caring and loving for your Apple products. We covered backing up, maintenance, and hardware upgrades. You can view our online keynote presentation on our groups iCloud account here. If you missed the meeting or missed the link, we had a real time demo of fake virus pop ups and installing malicious software on to a demo Mac.